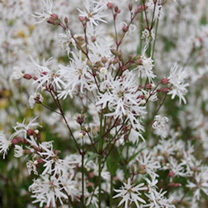 The white flowered version of Lychnis flos-cuculi, branched stems bear opposite, lance-shaped leaves. 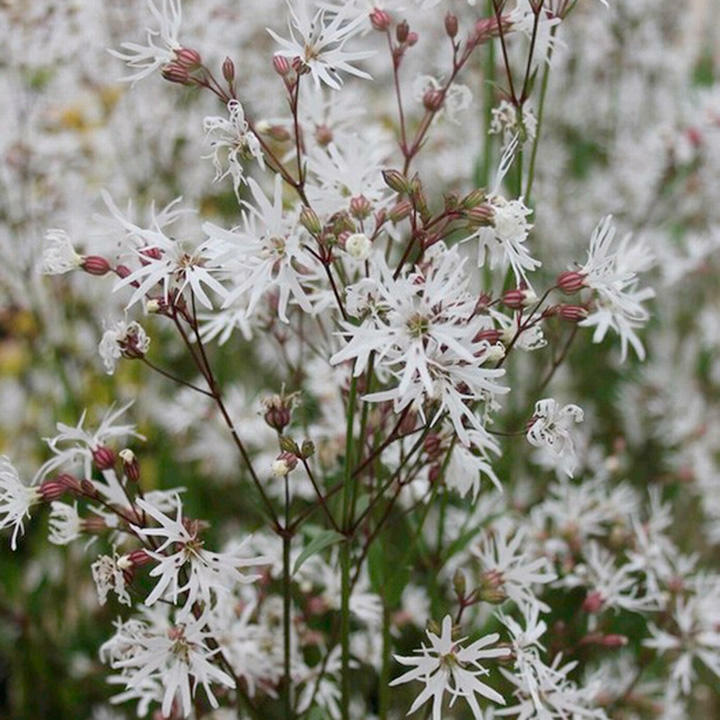 Clusters of star-shaped white flowers, each petal deeply cut into 4 narrow segments, appear in late spring and early summer. Little maintenance is required. Trim just above the water surface after foliage has died back in autumn to tidy. Flowers May-August. Minimum height 60cm; maximum height 100cm. Maximum depth 10cm. Slow growth rate. Available in two pot sizes: 3 x 9cm pots or 1 x 1 litre pot.